After moseying through the vast Vatican galleries, you at last discover the entrance to the Sistine Chapel. This is the moment you have been waiting for, once you step in to the Sistine Chapel, it will take you a minute to get over how many people are in the large Chapel. And they are all looking towards the ceiling. Once you find a spot where you won’t be constantly pushed by the crowd, you finally look up. The Sistine Chapel frescos were completed over 500 years ago by Michelangelo. He did an AMZAING job for someone who wanted nothing to do with the project. It took Michelangelo four years to complete the project (1508-1512). 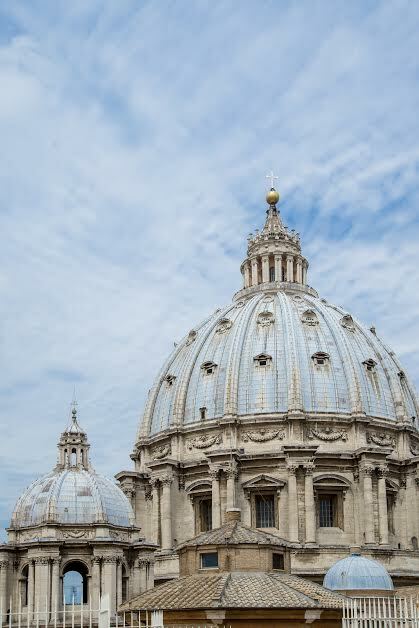 He was commissioned by Pope Julius II to add life to the Chapel ceilings that had been painted blue. 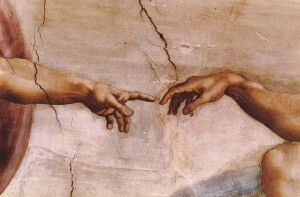 In the end, Michelangelo painted over 5,000 square feet of space while standing on a scaffold. No wonder it took him 4 years! The Last Judgment was commissioned by Pope Clement VII and Pope Paul III. Michelangelo worked on the painting from 1535 – 1541. While, the most recognizable section of the Sistine Chapel is The Creation of Adam, many artists contributed to the many paintings in the room. Artists like Sandro Botticelli, Pietro Perugino, Domenico Ghirlandaio, and Cosimo Rosselli painted the walls of the Sistine Chapel in 1481-1482. Their hard work is often overshadowed by Michelangelo’s creations. The Sistine Chapel is more than just a room that houses Michelangelo’s infamous frescoes. The Chapel is where Cardinals meet in order to elect a new Pope. The building itself has been around since the 1470’s when Pope Sixtus IV built the simple brick building. Remember; you are not allowed to take photos in the Sistine Chapel – don’t try to sneak any pictures in either or else one of the numerous security men will yell at you. While handsome, they look like they would be able to crush your camera/phone with their pinky finger. Whether you are Catholic or not, Michelangelo’s work in the Sistine Chapel is truly a sight to see! You could stand in the room for days and not be able to take in every aspect of this infamous piece of work. 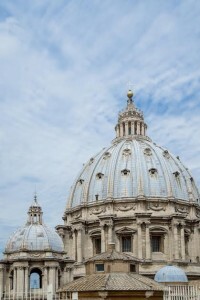 Don’t miss out on the opportunity to climb to the top of St. Peter’s Basilica. You can take an elevator half way to the top or you can climb all 320 steps. The view is breathtaking. This entry was posted on Thursday, January 30th, 2014	at 2:43 pm	. You can follow any responses to this entry through the RSS 2.0	feed. Both comments and pings are currently closed.